This pendant is sterling silver Navajo handmade by Monroe and Lillie Ashley who make jewelery exclusively for our store.This husband and wife team started working for us since 1982 but earned how to silversmith since the early 1970's. 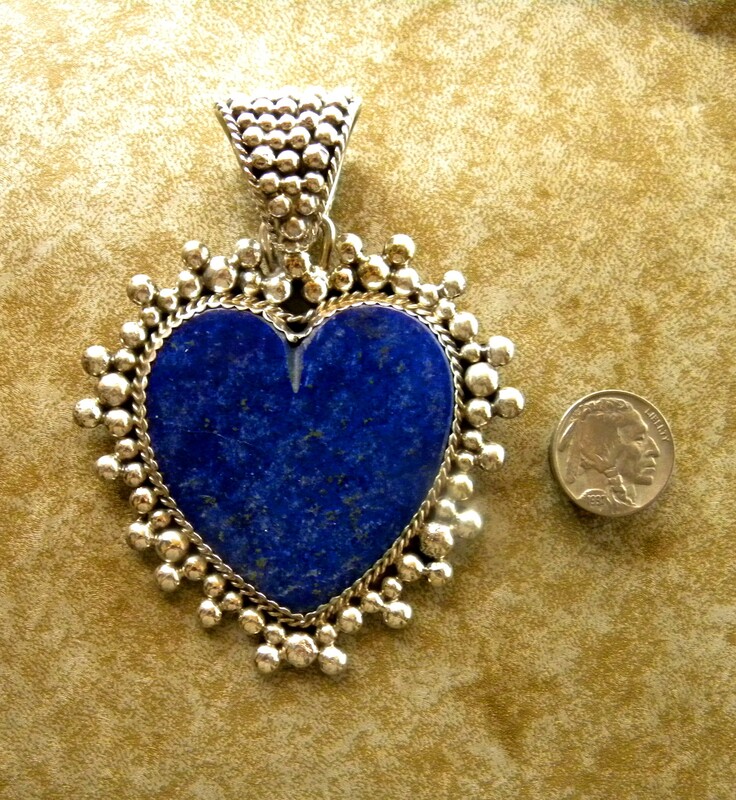 This pendant is set with Lapis Lazuli. Measures 3" wide and from top of bail to bottom of heart is 3 3/4"
This pendant is sterling silver Navajo handmade by Monroe and Lillie Ashley who make jewelery exclusively for our store. This husband and wife team started working for us since 1982 but earned how to silversmith since the early 1970's.